I bloody love donning my ice skates and spending an evening skating around until my little heart is content. 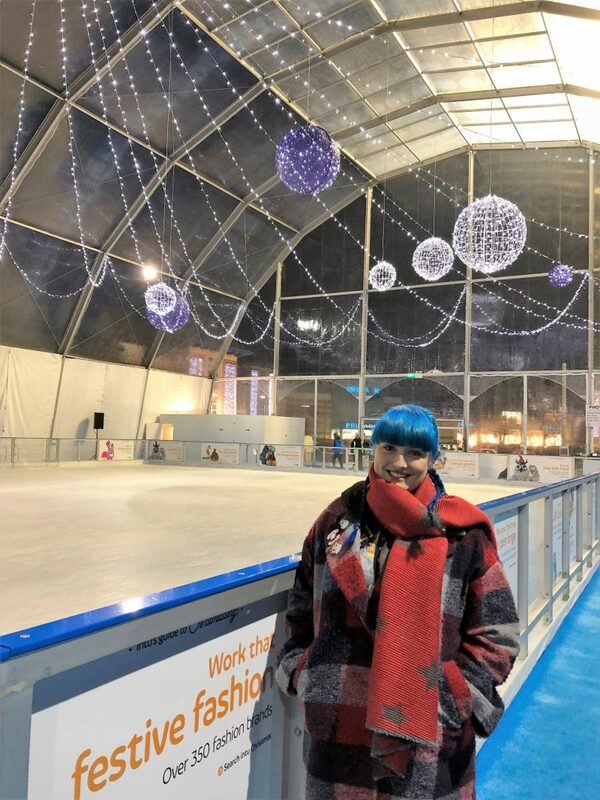 I try and get out as much as I can on my skates and that’s obviously far easier to do during the winter when lots of super cute ice rinks appear all around London and Essex! 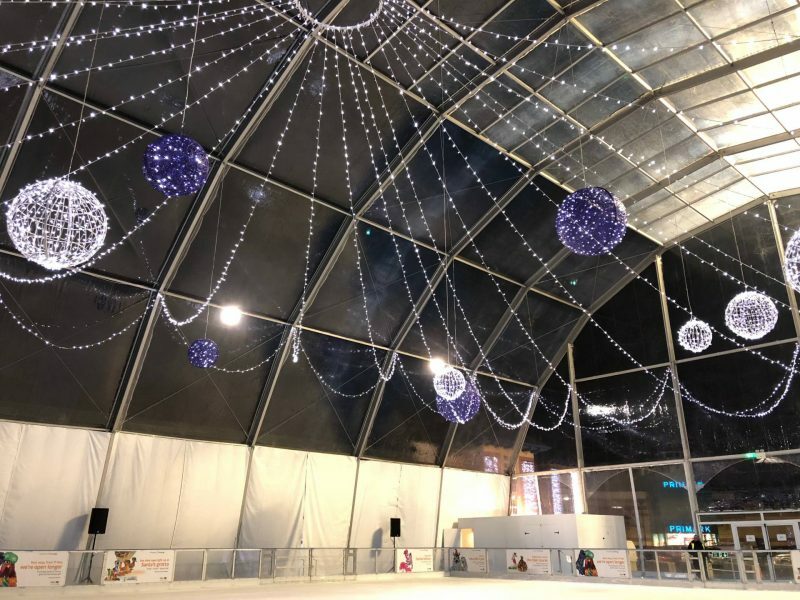 My most local ice rink, since Romford Ice Rinks closing, would now be the winter pop up at Intu Lakeside in Thurrock which is only a 15 minutes drive from home and it’s such a nice ice rink! We headed down there last week to try out the ice and have some midweek fun! The ice rink is really good value at £8 for kids over the age of four and £10 for adults plus, if you’ve got a big group of your mates together then it’s worth having a look at the group discounts available. Each skate session last 40 minutes which is just the right amount for me as I usually have to take a break if I’m on the ice for an hour as my poor weak ankles tend to need a time out! 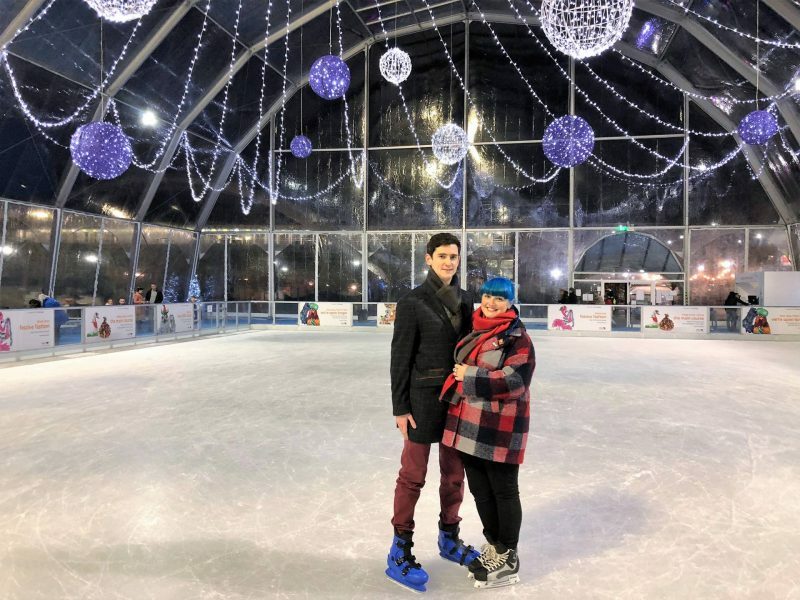 The ice rink is situated in Car park 3 outside House of Fraser which you can park just a few minutes away and then wander on into Lakeside to grab some dinner and shopping once you’re done! The ice rink is only there until the 1st of Jan 2018 so you don’t have long to go and visit! We had a really good night out skating with Intu; the music was great, the ice wasn’t crowded as I find most of the London rinks are which means we could skate at a decent speed without having to slow every few seconds due to crowds. It also meant we could skate along together and have actual conversations as we weren’t splitting up every few minutes to go round people too! Something that I really love about what Inta are doing this winter are Inclusive Sessions where the music level, lighting and number of skaters allowed in these sessions are reduced and you’re able to book in wheelchairs for them to have access to the ice in advance too. The inclusive sessions will be taking place on Mondays at 5pm. Another cute session that Intu are running is the under 8’s sessions to ensure the safety and enjoyment of younger skaters and these sessions are limited to children under 8 and up to two accompanying adults per child. The under 8’s sessions will be taking place on Mondays at 4pm. 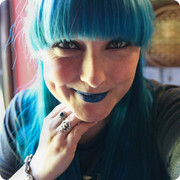 The staff were all super helpful and really nice which helps add to your overall evening. Mike was able to get his skates really quick as the staff were really efficient at doing so, as were the cloak room so we were, both, out and on the ice super quick and then back out to hit the shops super quick after our skate. 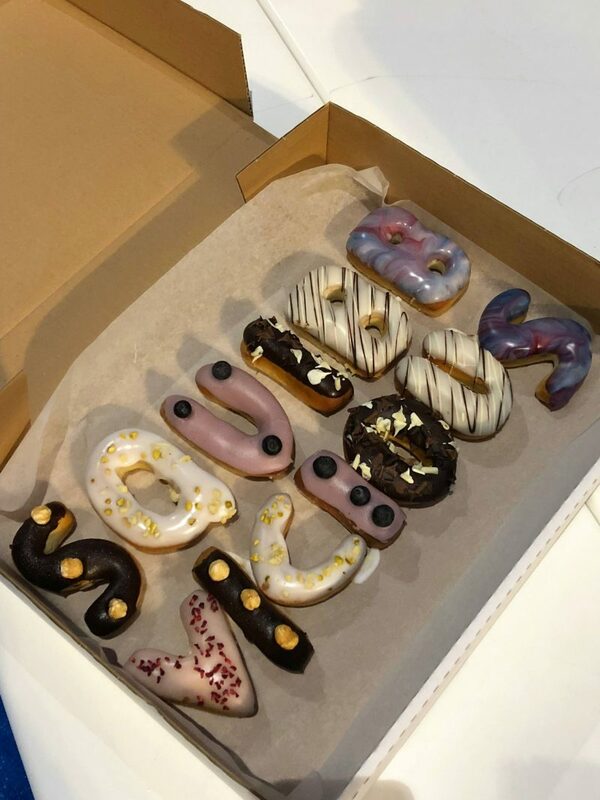 And as a lovely surprise after my skate, the lovely people from Dum Dum Donutterie had made me these as they have just opened up a store in Intu Lakeside! They were so tasty that they didn’t even last five minutes at my birthday party over the weekend! Thank you Intu for a lovely evening! "Treating Him with The Body Shop *"
"Three Reason to visit the Rekorderlig Cider Winter Lodge *"
Those dougnuts are so cool but I can’t even stand up on ice skates!